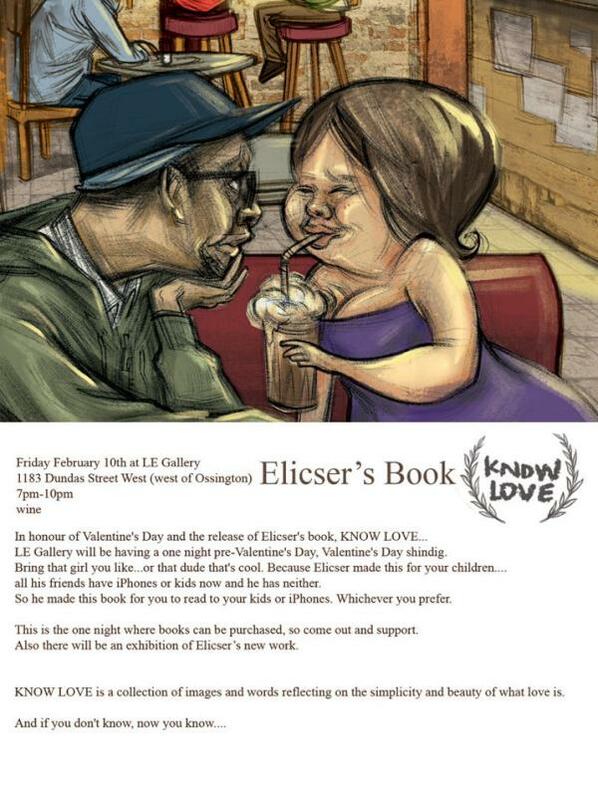 One of Toronto’s most well known street artist Elicser had his book launch last night. Part of a Pre-Valentine’s Day celebration around the theme of love, the LE Gallery at 1183 Dundas St West quickly filled as the night went on. Book sales were tremendous and even Elicser had a hard time keeping up with book signing. People flock to Toronto to be amazed by this city’s great street art. Having such a talented graffiti artist such as Elicser part of our city’s artistic culture, the road ahead is paved with lots of inspiration for other emerging artists. Elicser’s work can be seen in the infamous graffiti alley on queen west and also in front of many store fronts that he has been commissioned to fill. Thank you to Well and Good for producing and organizing a great event!